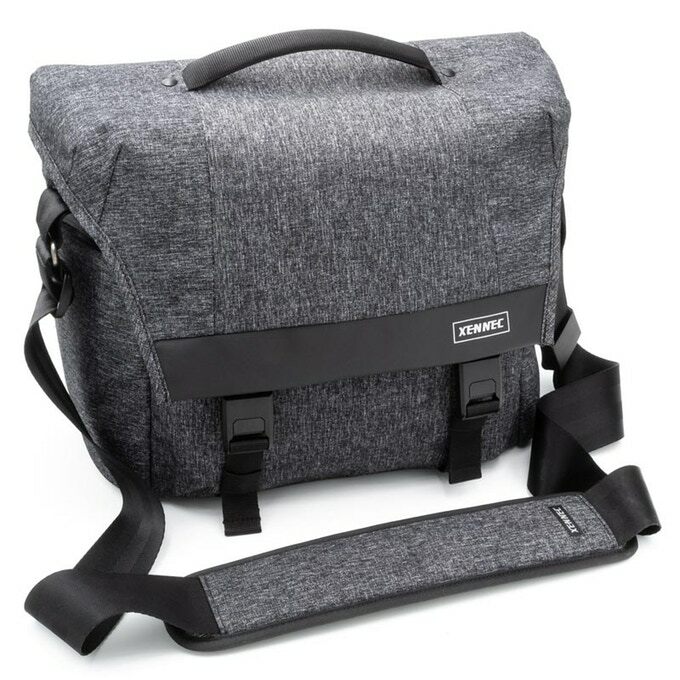 How can camera bags be interesting? 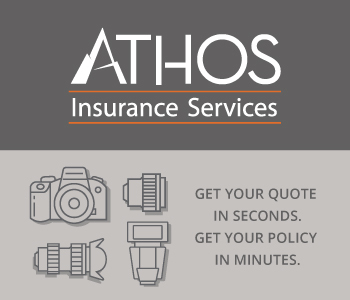 Well, if you've ever had the experience of using a camera bag that's uncomfortable or poorly made or simply not very functional, you understand the value of finding a camera bag that's well put together. 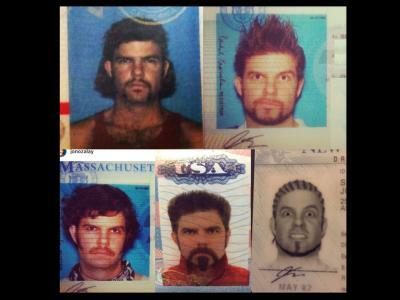 If you know me, you know that I have a pretty high threshold for what I consider "well made." 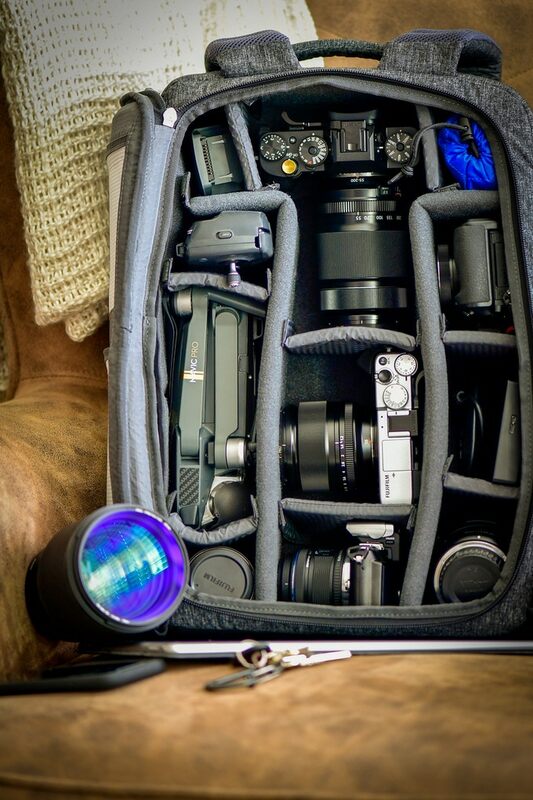 And in the case of Xennec's new line of camera bags, I can safely say that we've got some very well made and interesting camera bags on our hands. I've had three Xennec bags in my possession for about a week - the CityScape Messenger 13, the CityScape DayPack 15, and the CityScape BackPack 15 shown above. 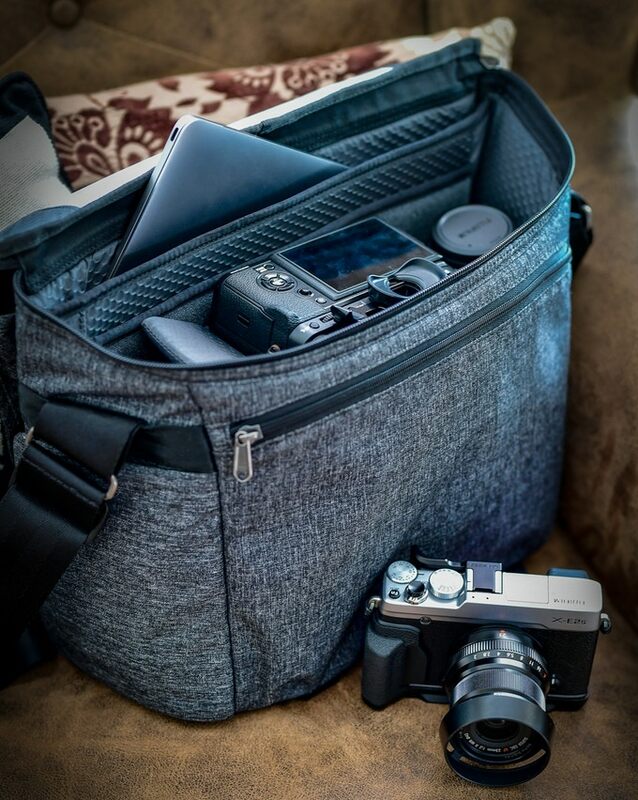 Naturally, the messenger bag is geared towards photographers that need to run and gun and have ultra-quick access to their gear. Worn as a shoulder bag or a sling, it's a simple matter of flipping open the large flap, grabbing what you need, and start taking photos. 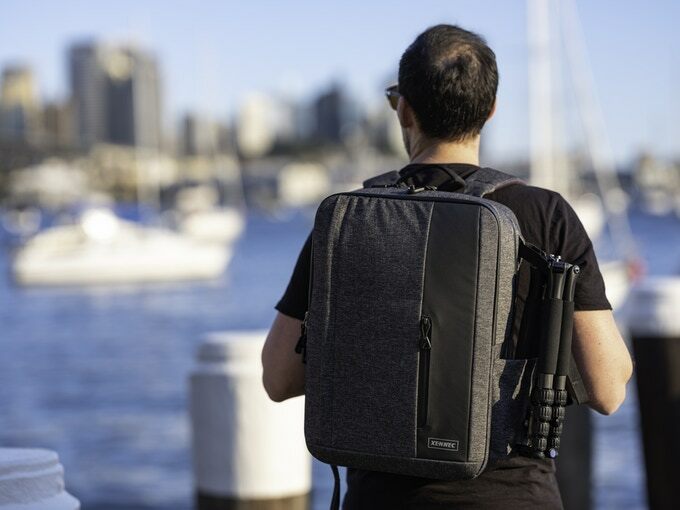 The CityScape Messenger Bag is small enough to allow you to work in tight spaces - like busy city streets for a little street photography - while also giving you plenty of room for your camera, 3-4 lenses, and other camera accessories, as well as a 13-inch laptop and a 10-inch tablet in case you need to get some work done. In my case, I can carry a Nikon D850 with an L-bracket and 14-24mm lens attached as well as a 24-70mm lens and a 70-200 lens in this bag, as shown below. There's a magnetic side pocket built specifically for a water bottle, while the closures on the front are also magnetic, which makes for a quick and easy process to open the bag and secure it when you're done. The carbonate-coated bottom resists water and is highly durable so you don't have to worry about dirt and grime soaking the bag. The seam-sealed rain cover is a nice touch as well. The CityScape DayPack 15 offers even more storage capacity than the messenger bag. 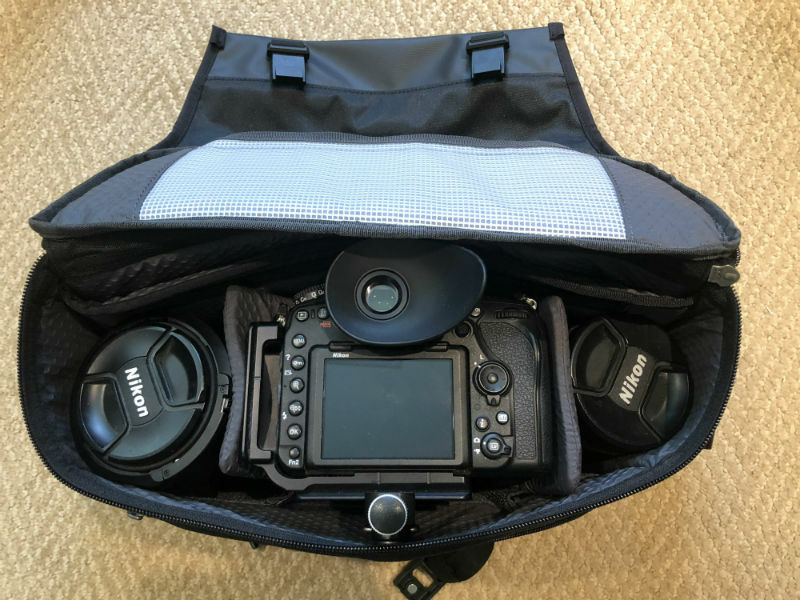 You can easily carry a DSLR or mirrorless system with 3-4 lenses and all the needed accessories, including a travel-sized tripod or monopod, which you can carry in the magnetic tripod pocket on the side of the bag. There's a laptop compartment that accommodates up to a 15-inch laptop while the 12-inch tablet pocket provides additional space for your devices. There's even an A4-sized document folder in case you have some paperwork you need to bring along with you. 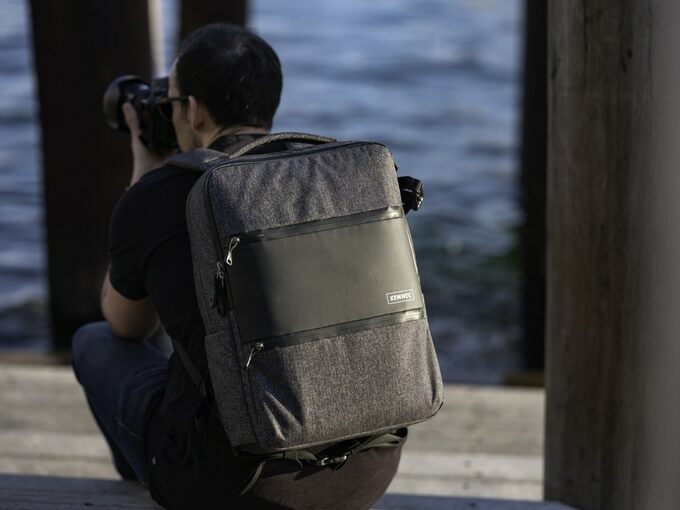 The DayPack features waterproof zippers for the laptop and tablet compartments, a seam-sealed rain cover, and Twiz-lock zipper pulls for added security. On top of all that, this bag can be converted to a traditional backpack by removing the padded internal compartments. Speaking of the internal compartments, Xennec has integrated an easy-access panel on the back of the bag for super easy access to your camera when time is of the essence. And when you're wearing the DayPack, no one has access to your gear! Extra protection and stealth design! The biggest of the three bags - the BackPack 15 - holds an absolutely incredible amount of gear, but does so without feeling overly big or bulky. 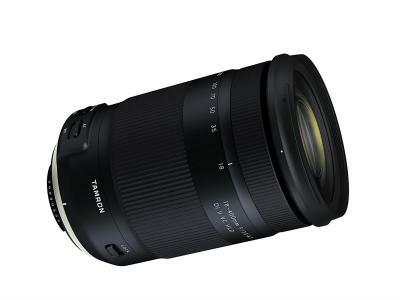 You can carry a DSLR or mirrorless system, 5-7 lenses, and all the accessories you need for shooting, in addition to a 15-inch laptop and a 12-inch tablet. 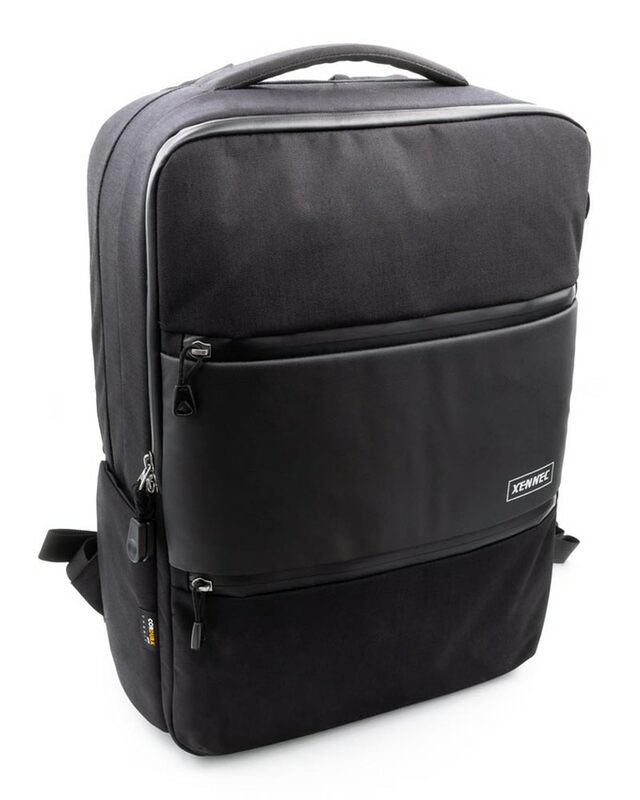 And like the DayPack, there's an integrated magnetic pocket for carrying a tripod or monopod. But what's so great about this bag is that the interior space is flexible to meet your needs. That is, if you have multiple cameras, you can easily add in a couple of extra bodies in place of having 5-7 lenses. As you can see above, you can even fit a drone in the bag without issue. As with the DayPack, the BackPack has all the bells and whistles you could ever want to carry your gear safely. That includes waterproof zippers, Twiz-lock zipper pulls for added security, a sternum strap with magnetic closure, and a removable waist belt that's heavily padded for additional comfort, just to name a few features. All told, Xennec has knocked it out of the park with these bags. 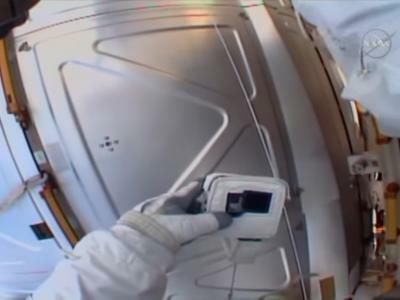 Not only do they hold a ton of gear and have smart features that ensure your gear is safe, but they also look like a million bucks. On top of that, it's evident when you look at the construction of these bags that there's a lot of pride in the way they're made. The stitching is spot on, the materials look and feel great and provide excellent durability, and they're comfortable to carry as well. If I'm this impressed after just a week of testing these bags, I can't imagine how much I'll enjoy them after I've used them for a longer period of time! Xennec has a Kickstarter campaign ongoing as we speak to fund these incredible bags. 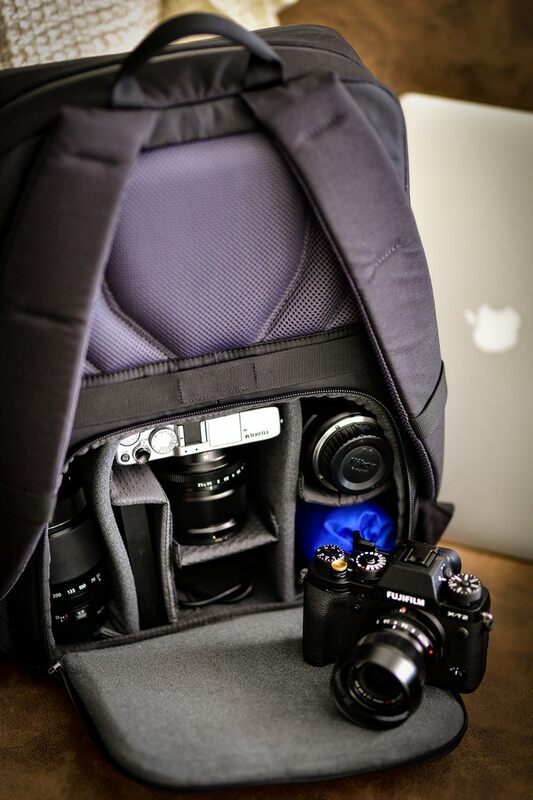 If you've been looking for a camera bag that offers both form and function and does so in a way that keeps your gear safe and organized and keeps you comfortable, then I strongly urge you to give Xennec a good, long look. I know I'm glad I did!